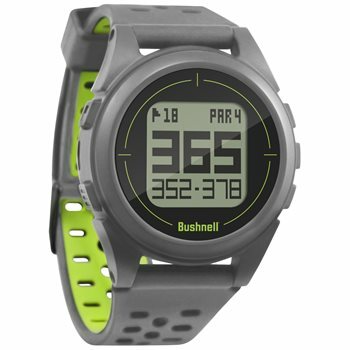 The Bushnell Neo iON2 GPS watch has been redesigned to meet the ever-changing needs of golfers. An integrated step counter has been added allowing the golfer to track distance, speed, and total activity time throughout their round of golf. Other benefits include shot distance calculator, pedometer, odometer, auto course recognition, and the ability to get up to four hazard distances per hole. The iON2 features Bluetooth technology and the Bushnell golf app for automatic updates to the more than 30,000 preloaded courses in over 30 countries. No membership or download fees are required. Your game will benefit from yardages to the front, center and back of the green. This easy-to-use GPS features auto-hole advance which automatically changes from one hole to the next, so the golfer can enjoy hassle-free distances all afternoon.